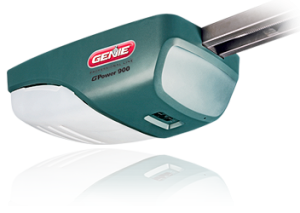 Our selection of garage door openers in Canoga Park CA includes a variety of horsepower capacities for small and large doors. Depending on the size and weight of your door, you may need more or less horsepower in your opener motor. We’ll help you figure out the exact specs of your door and select the right opener. We also offer direct drive, screw, chain, and belt operated garage door openers. One of our expert technicians will be happy to explain the pros and cons of these different mechanisms. If the remote control is the most important part of the garage door opener to you, you’re not alone. Many people feel this way. You might be content with a generic one button remote, or you might be interested in new multi-function remotes that light up. Our high-tech remotes offer lots of premium features and pair with openers offering motion detection control panels and keypads. Just describe your dream opener and remote and we’ll do our best to help you find it. Carroll Garage Doors is here to help with all of your garage door opener repair and service needs. Because our technicians are intimately familiar with all kinds of garage door openers, they will be able to provide a fast and effective repair. Be sure to ask about our preventative maintenance services for garage door openers in Canoga Park CA when you’re getting your garage door opener repair. We can inspect and service your opener on a regular basis to help keep it in great shape.